Bloglovin, syndication, and the canonical URL issue. 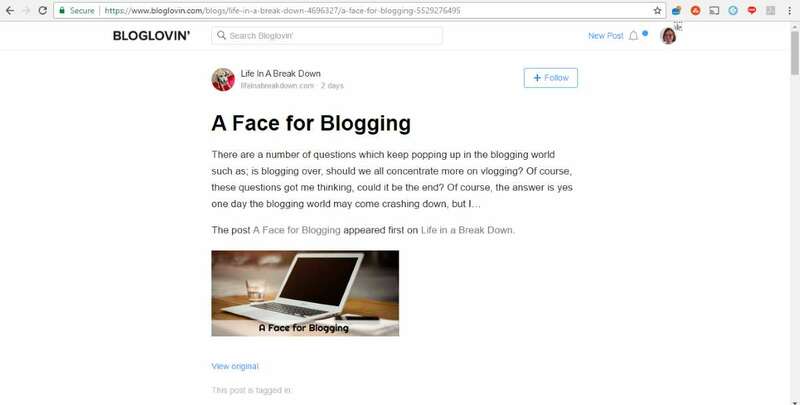 Many bloggers use bloglovin as a way for their readers to follow them and see their content. When it was just an RSS aggregation service, this wasn’t a problem, and many bloggers have built up hundreds, or even thousands of followers on the service, and see a good amount of traffic from it. Right at the moment though, there’s something not healthy in the world of Bloglovin, and that something is a snippet of code, claiming that the bloglovin version of our blog posts is the original and definitive version. It looks like this, and it’s called a canonical URL. Used well in syndication, it would point the copy of the article back to the original on the content provider’s site, as described by searchengineland here so search engines would know which version to rank in their listings. Can you spot the problem with how Bloglovin are using it? Now, there’s a whole lot of misinformation flying around social media about what the problems are with bloglovin right now. Lots of people saying the issue is that they’re displaying the full post instead of a snippet, or that they are using a frame, or that they’re not using a frame, that you can fix it by changing your RSS settings, or by putting in a page break, or linking to code snippets to break frames and so on.
. That’s showing my site, albeit wrapped in a frame, those are my links, if you hit the share buttons at the bottom of the post, you’re going to add my post to pinterest and so on. However, if you go to a blog profile like mine and then click on the date link next to the title you get a page served entirely on bloglovin site, and looking like this. Not a lot of point in paying for a theme, having sidebar, ads, follow buttons or anything is there? None of that stuff is visible. It’s just *my* content, on bloglovin’s site. Complete with *my* images, copied to their cloud network. This means if you hit a pinterest or facebook share on that page, you share the bloglovin page, which remember, has that lovely little canonical snippet of code in it, claiming the content as belonging to bloglovin. There’s even a comment field, and if people comment on there, you don’t get any notification of it. 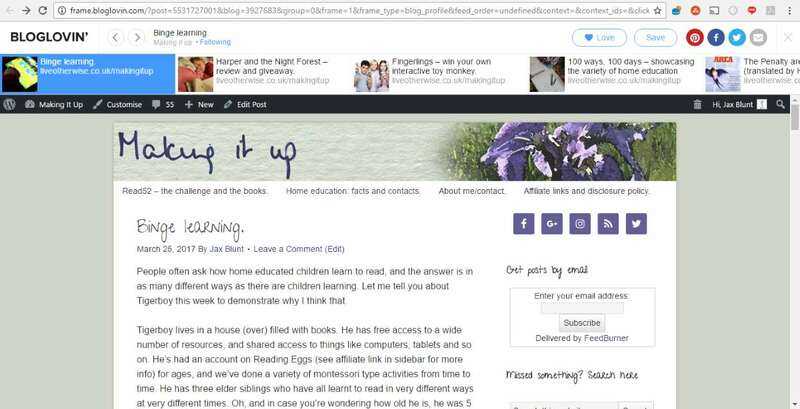 As Zoe just pointed out on twitter, this takes Bloglovin from RSS reader to RSS scraper. Not where they want to be positioning themselves, surely? This is obviously better than having all my content on the site, but the canonical URL code is still there even on this snippeted code, and the picture has still been copied. We need bloglovin to respond to this and fast. Bloggers lost faith in the service last night, and lack of any public reply to those concerns is worrying. I’ve raised a support ticket here and my tweet from last night is getting a lot of interest so now I guess we wait and see. hey @bloglovin want to explain why *my* content on *your* site has rel=canonical coding? Read more about rel=canonical on Yoast. This is all very worrying, thank you for flagging it up! If it’s not resolved I suspect bloggers will start leaving in droves. I honestly don’t know what Bloglovin’ are thinking. Shocked that they thought this was the best way to take their platform. It’s like they haven’t worked with bloggers for many years, and have no idea what we would want from their platform. Have they forgotten that our hard work is the only reason their platform exists? I was just poking around at my account having seen this on Twitter and wondered if it was something on a slow roll out, or not affecting me because I don’t use the frame, because I was always being taken to the actual sites, but nope. Urgh. Thanks Jax, I’m going to check this out now and possibly leave the site. 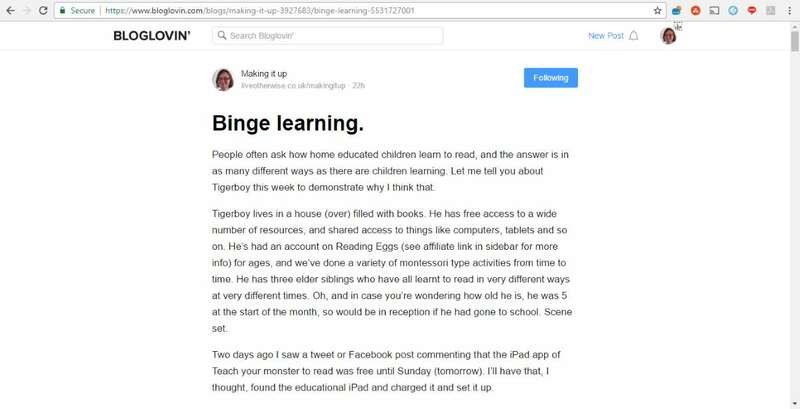 I went to Bloglovin and clicked about a bit but I only got my blog in a frame on their site, with my links and side bars. I got this even if I clicked on the date next to the title. I’m utterly horrified! Stealing our content and claiming it to be the original! Mine’s on the excerpt setting, but the canonical thing is a serious issue. Unless they get it sorted out quick smart, they’re going to have a lot of people deleting their accounts. I’m presuming that would solve the issue. I’m intregued and want to know what the right thing to do is. I’ve checked my blog (full feed) in frame and it appears to link directly to my blog however when I click on the date (as you suggest) it has the canonical pointing to Bloglovin like you say, albeit with a truncated feed. If you click on “show original” it shows you my blog post in the Bloglovin frame but when I inspect the source it appears to revert back to my own blog info. Can you explain a bit further please. The comment option on bloglovin is awful for a million reasons! Not all bloggers allow comments, and how can you moderate comments there? Do you even get notifications that you have comments?!? I think it’s disgusting. I don’t get much traffic from Bloglovin so I may as well ditch it.